This our annual tradition of going to the Island during Christmas. The lights and decorations here were outstanding. 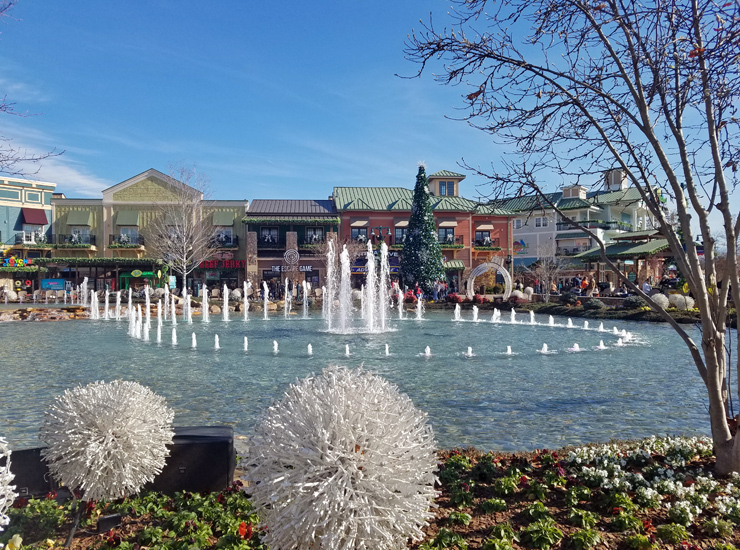 It's so relaxing and festive, it quickly became my favorite place in Pigeon Forge. The Island is the central gathering point in the Pigeon Forge approx. 25 minutes away from Gatlinburg. With great shopping, restaurants of all atmospheres, sight seeing and attractions, there’s something for everybody. 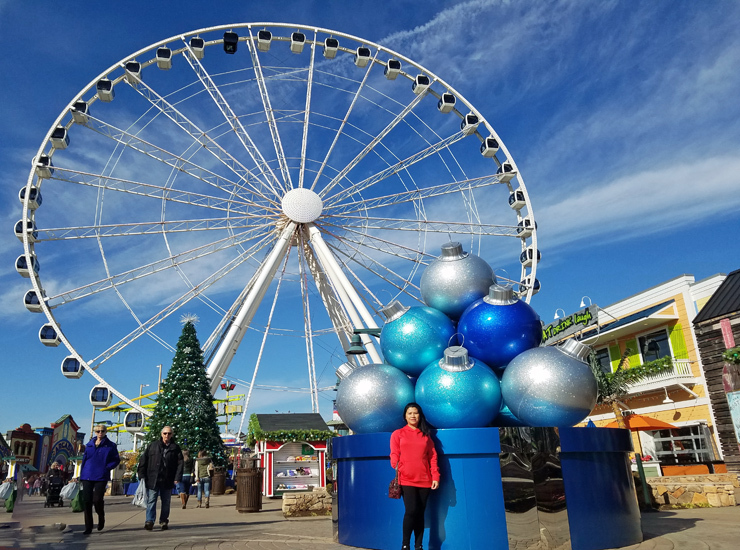 Take a ride on the giant Ferris Wheel to catch a view of the mountains and lights, enjoy the fountain that plays music with light shows, stop for a moonshine sample or eat to your hearts content at any number of delicious restaurants. 1. Make sure to wear comfortable shoes (it can be quite a hike from the far end of the parking lot). But the tram is available for those who don't want to walk. 2. 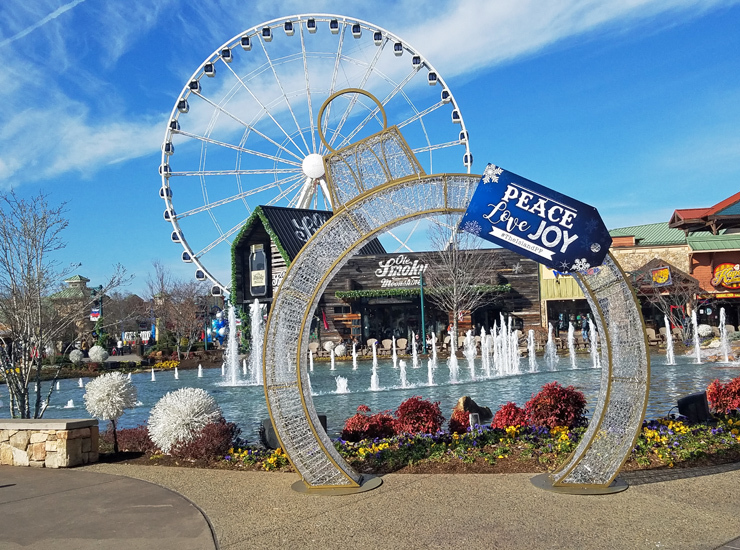 Be sure to check out Pigeon Forge Attractions website on coupons for shops and rides. 3. Get to restaurants like Jimmy Buffett's Margaritaville or Paula Deen’s Family Kitchen early on the weekends. 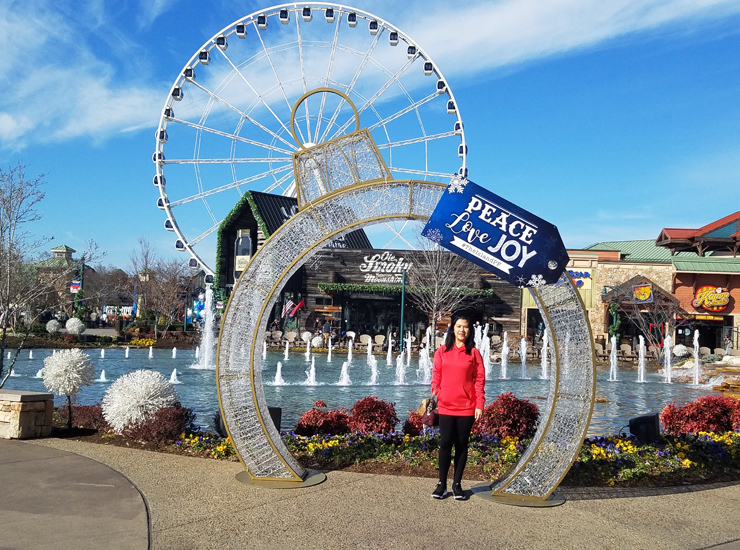 A large ferris wheel that will gives you very nice views of Pigeon Forge and the surrounding mountains. The lights and Christmas decorations around this time is enough reason to the Island PF. 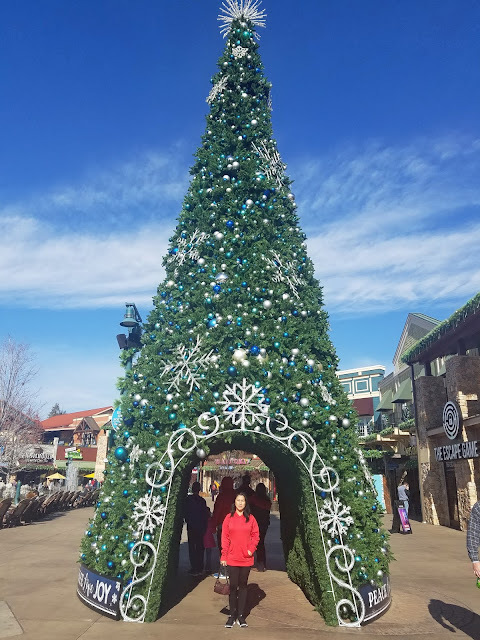 The giant Christmas Tree at The Island. The water fountain and light show set to Christmas music is very entertaining. What fabulous decorations. I would love to go here one day. It looks like there's lots to do. My daughter would love to ride in that giant ferris wheel. Not heard of this Island before but absolutely would love to get on the giant Ferris wheel for sure. I am scared of heights but never on the Ferris wheel. I have heard of Pigeon Toes and it has all been great things. Love that walk through Christmas tree. May have to put this on our list of places to visit. 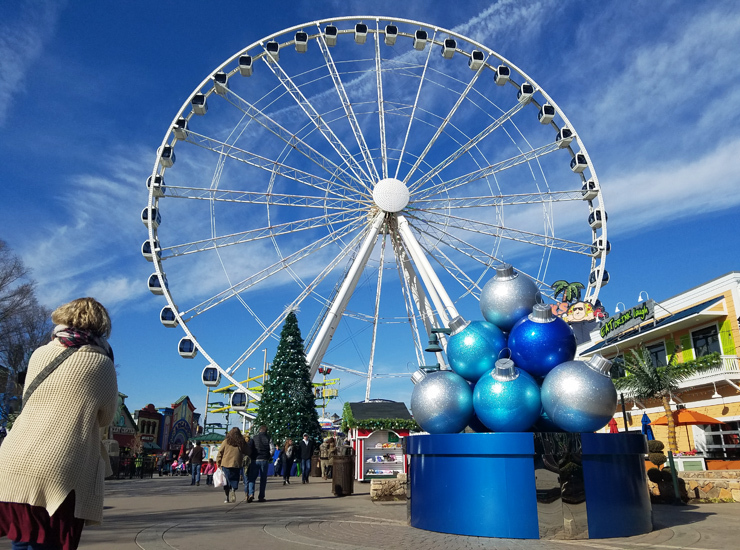 Pigeon Forge is one of the places that I have on my list to visit. I am within a 5 hour drive so the next long weekend we might have to go visit. I love Pigeon Forge so much. It is always such a great place to visit. The Island looks like it was a blast. It definitely involves a lot of walking. However, it's a ton of fun and worth every step! What a neat place. And definitely warmer than it is here! This sounds like a great place to visit and explore with the family. 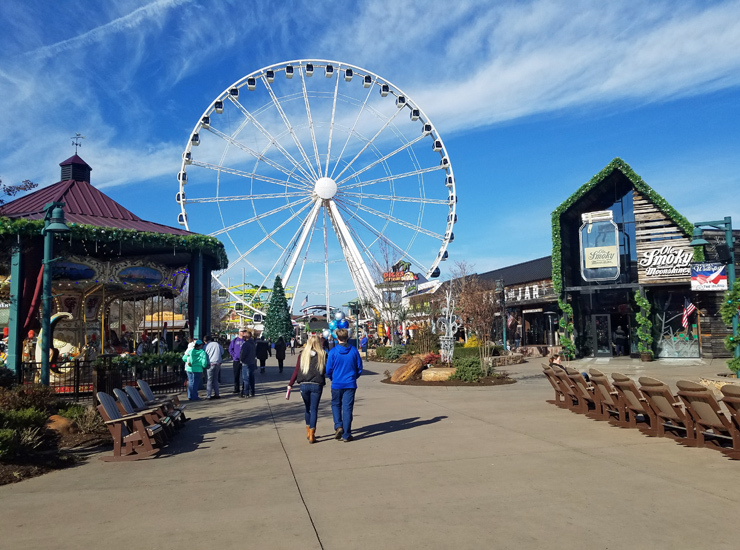 I feel likeI have traveled all around Pigeon Forge TN but never been to it. I need to remedy that ASAP!! I love all of your photos!! Wow, what a beautiful place! That huge Christmas tree is beautiful and I love how everything is laid out. 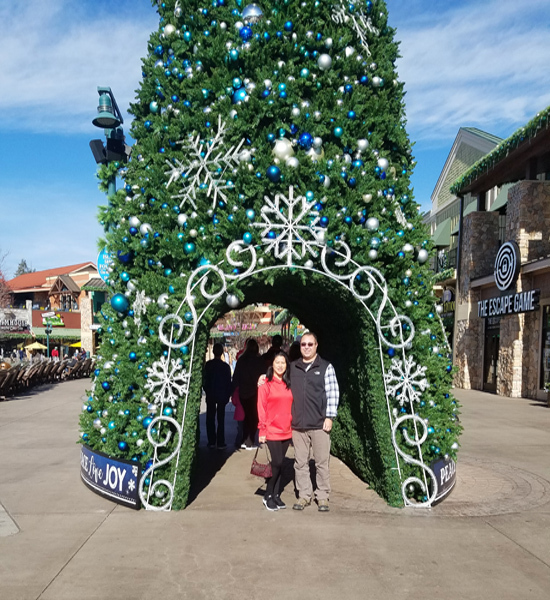 I love how beautifully this place is decorated for the holidays! The tree is gorgeous, and I have never seen a tree where you could actually walk under it - that's fun! I've never heard of that place! Now that I have, I definitely want to go. It looks gorgeous!